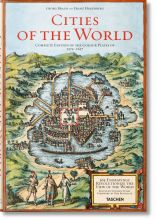 Superlatives flounder in the face of Joan Blaeu’s Atlas Maior, one of the most extravagant feats in the history of mapmaking. 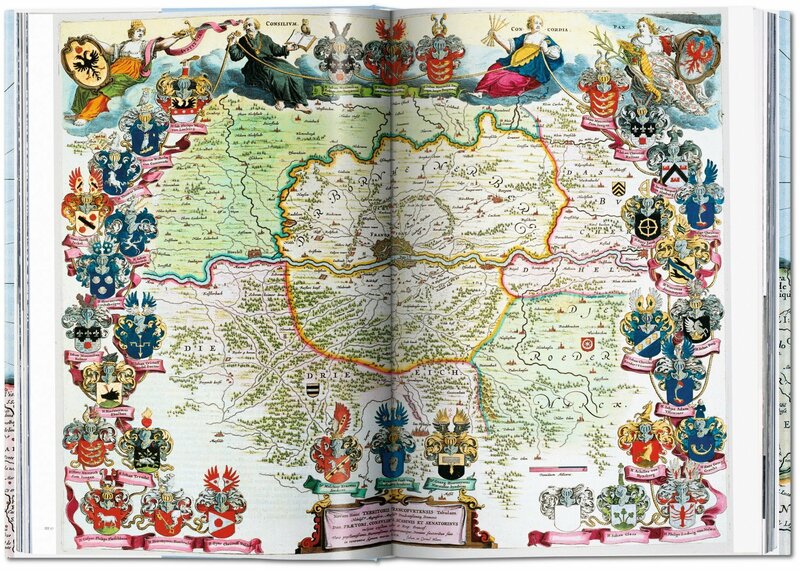 This stunning edition is based on the Austrian National Library’s complete colored and gold-heightened copy and reprints its 594 maps covering all then-known continents to the highest reproduction standard, rendering full justice to this luxurious Baroque wonder. 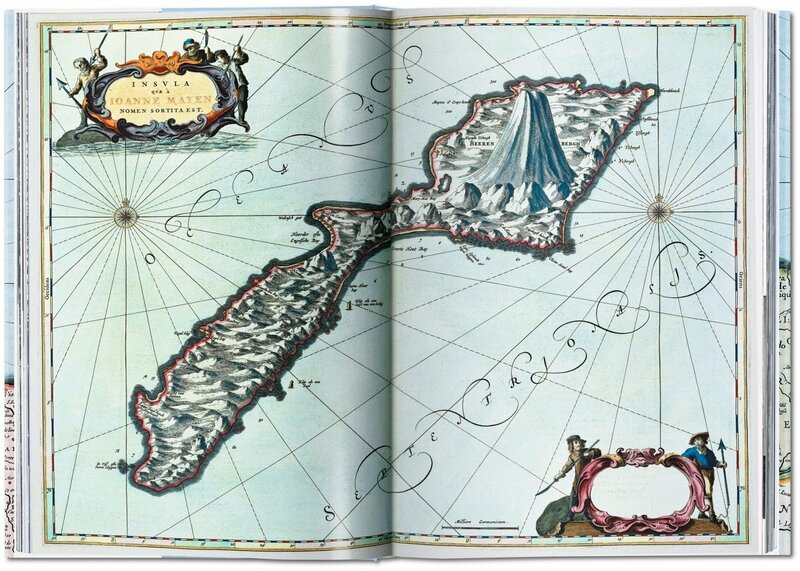 Superlatives tend to fail in describing Joan Blaeu’s Atlas Maior—that being said, it stands as one of the most extravagant feats in the history of mapmaking. 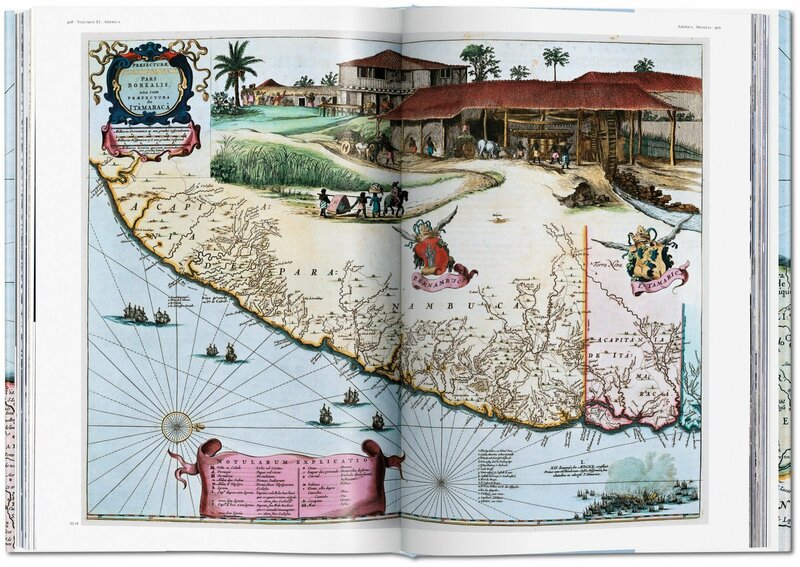 The original Latin edition, completed in 1665, was the largest and most expensive book to be published during the 17th century. 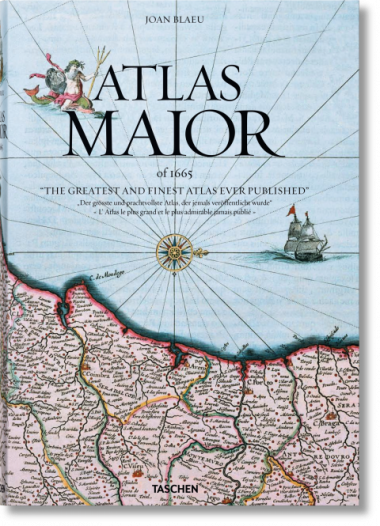 Its 594 maps appearing across 11 volumes spanned Arctica, Africa, Asia, Europe, and America. 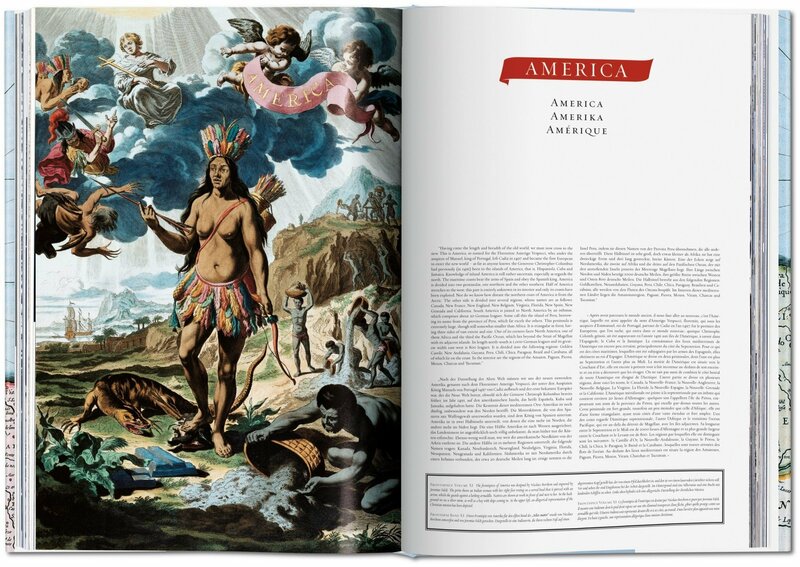 Ambitious in scale and artistry, it is included in the Canon of Dutch History, an official survey of 50 individuals, creations, or events that chart the most important historical developments of the Netherlands. 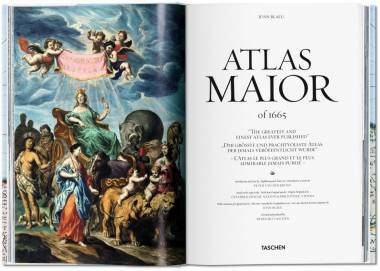 TASCHEN’s meticulous reprint brings this luxurious Baroque wonder into the hands of modern readers. 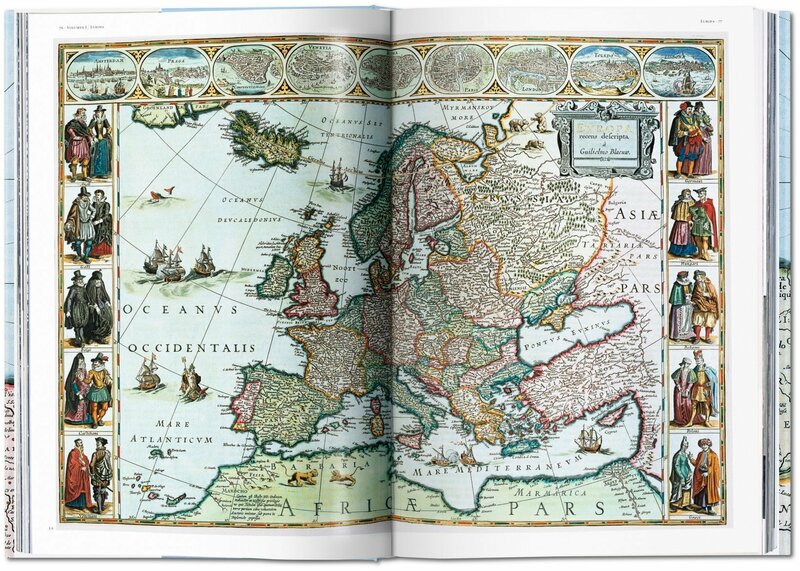 In an age of digitized cartography and global connectivity, it celebrates the steadfast beauty of quality printing and restores the wonder of an exploratory age, in which Blaeu’s native Amsterdam was a center of international trade and discovery. 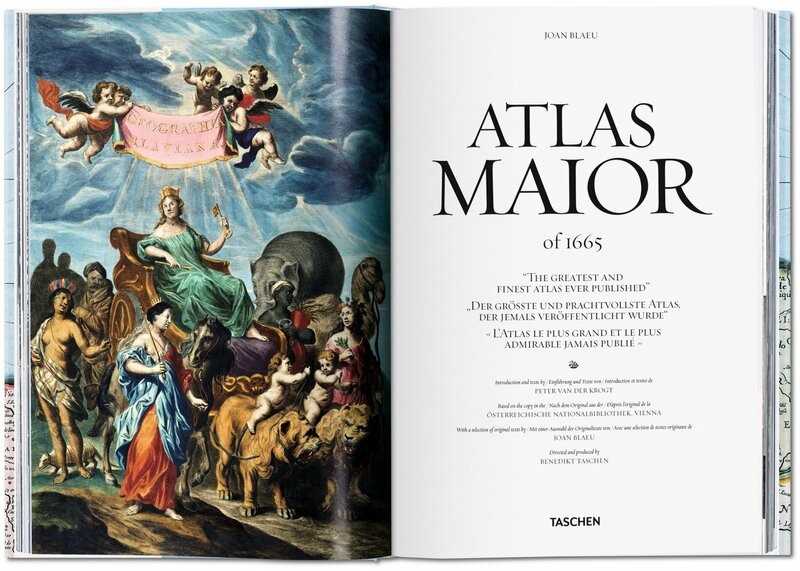 True to TASCHEN’s optimum reproduction standards, this edition is based on the Austrian National Library’s complete colored and gold-heightened copy of Atlas Maior, assuring the finest detail and quality. 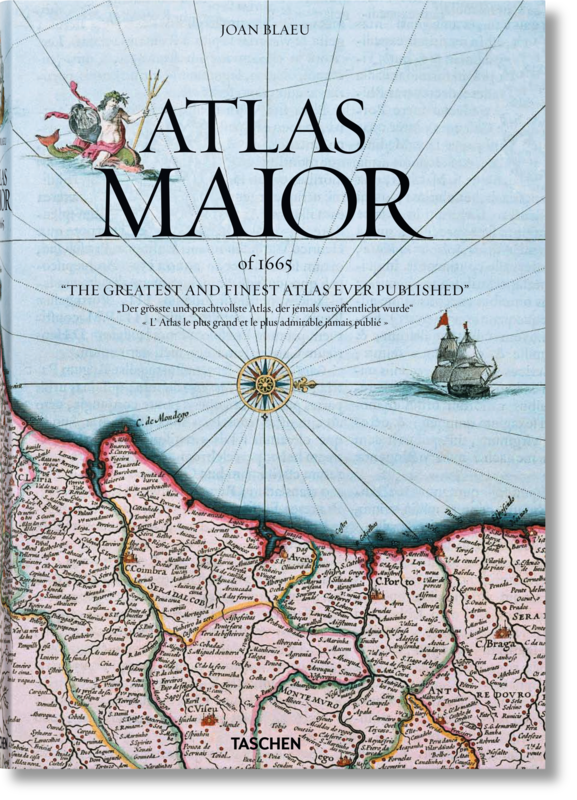 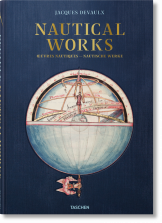 University of Amsterdam’s Peter van der Krogt introduces the historical and cultural significance of the atlas while providing detailed descriptions for individual maps, revealing the full scale and ambition of Blaeu’s masterwork.